Formula One: Caterham will race in Abu Dhabi thanks to crowd-funding efforts! 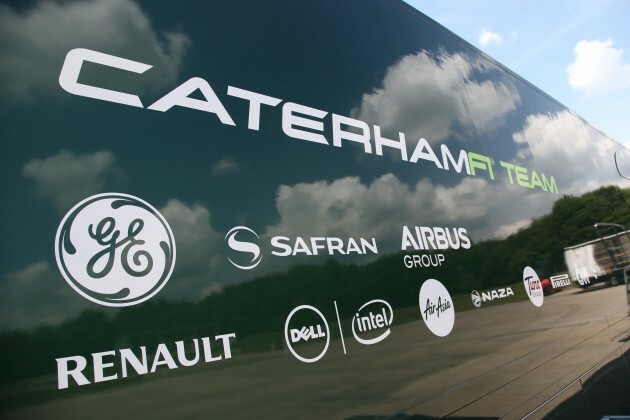 Home » Formula One: Caterham will race in Abu Dhabi thanks to crowd-funding efforts! Caterham F1 Team administrators today confirmed that they will race in this year’s Formula One season finale in Abu Dhabi after missing the previous two rounds in Brazil and America due to financial issues. The team went into administration in the run up the US race 3 weeks ago, but announced soon after that they would be attempting to raise money needed to race through their fans. It is not yet known who will drive for the team for the final round. Kamui Kobayashi and Marcus Ericsson were the race drivers for the season, but Ericsson has severed all ties to the team after his appointment to Sauber for next season. WEC driver Andre Lotterer drove in Kobayashi’s place at the Belgian Grand Prix, but has not expressed a desire to race for the team again despite having been offered to. If both Kobayashi and Ericsson do not race for the team then they may be limited to one car due to the FIA regulation stating that one team may only run a maximum of 4 drivers per season. Rumours emerged earlier this week that Alice Powell, a female junior formulae driver is looking to make her F1 weekend début in first practice in Abu Dhabi thanks to her Grandfather paying £35,000 for her seat. The possibility of her racing for the weekend has also not been ruled out. She would be the first female driver in Formula One for over 20 years.